Is their really something you can do with the bottom of an ice tea or soda bottle? Yes! 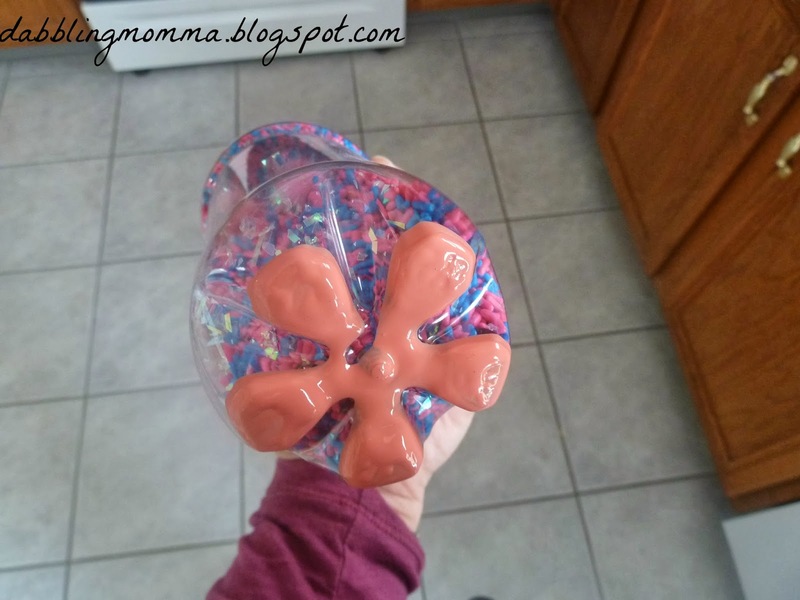 Believe it or not the bottom of this ice tea bottle makes a pretty flower stamp! 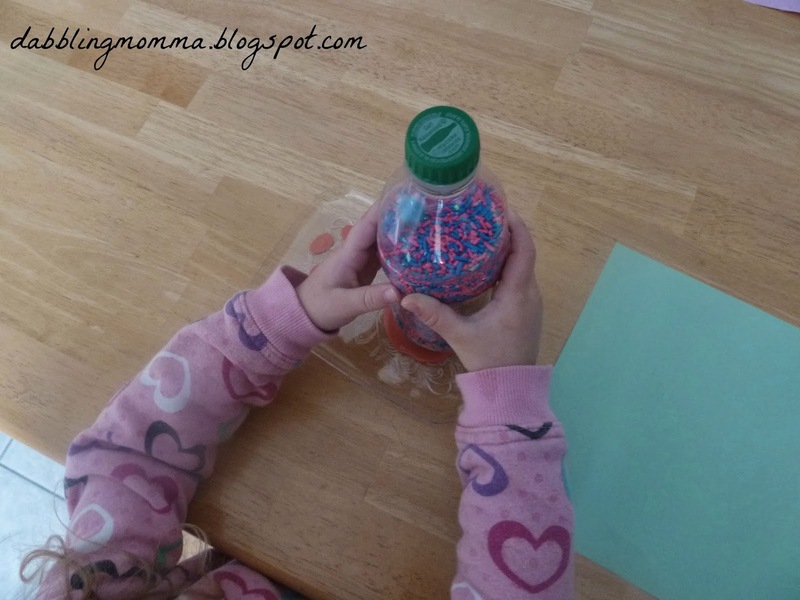 And please don't mind what's inside the bottle....those are colored sprinkles that I used for an I Spy bottle. 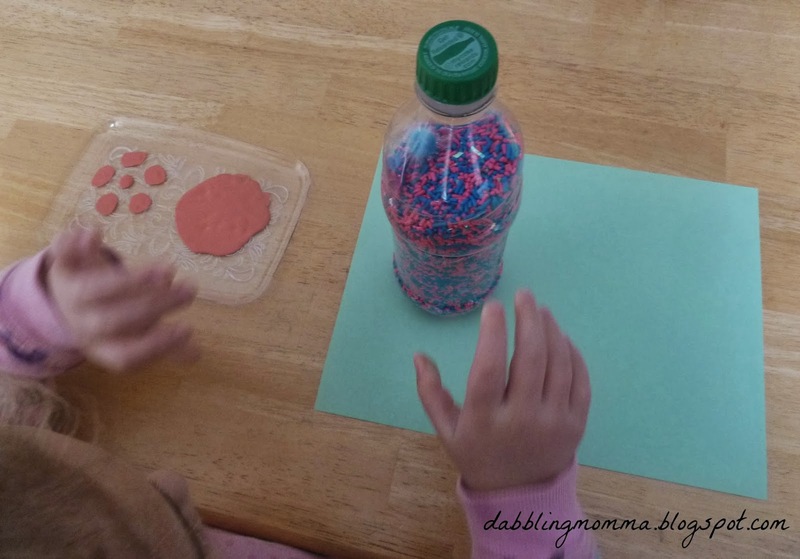 I put some paint in a dish placed the bottle on top and started stamping. It was at this point that my 3.5 year old had her own idea. 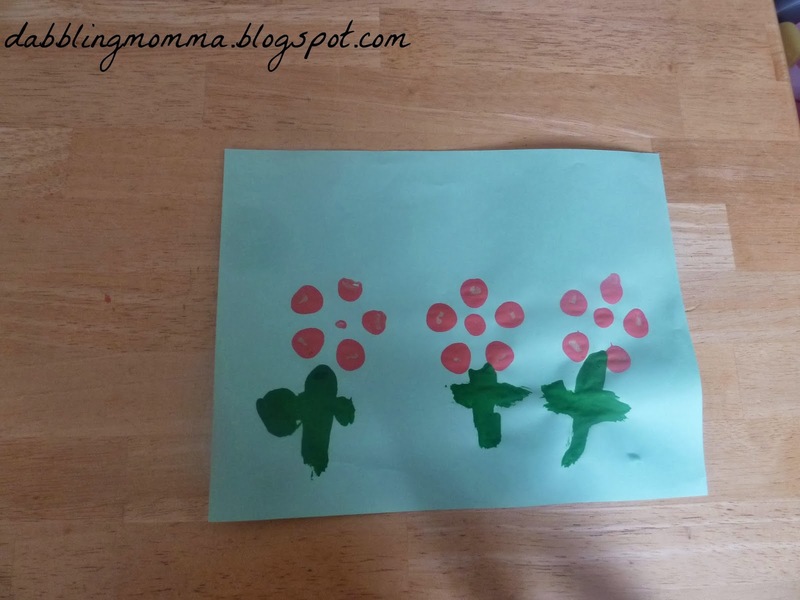 Apparently, she wanted the flower to have a circle in the middle. 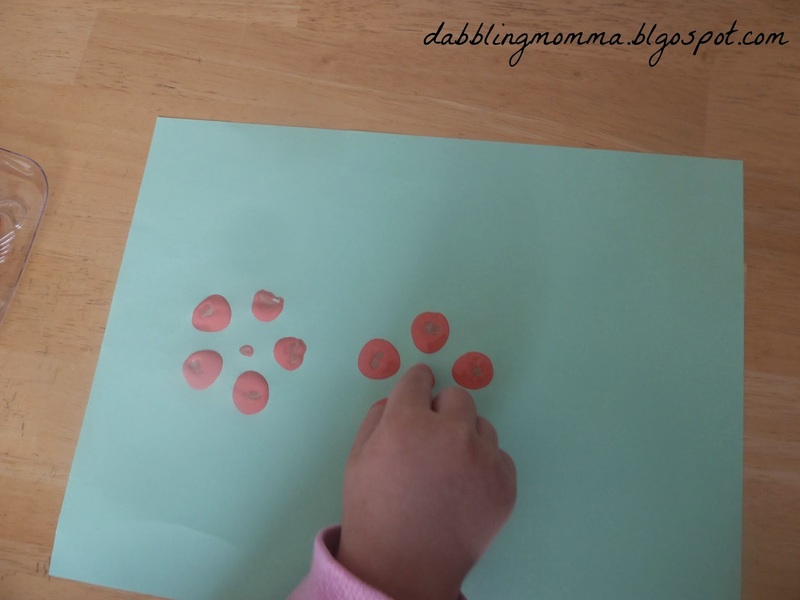 So, she put her finger in the paint and pressed on a little circle. Final step, painting the flower stems and we have pretty spring flowers! 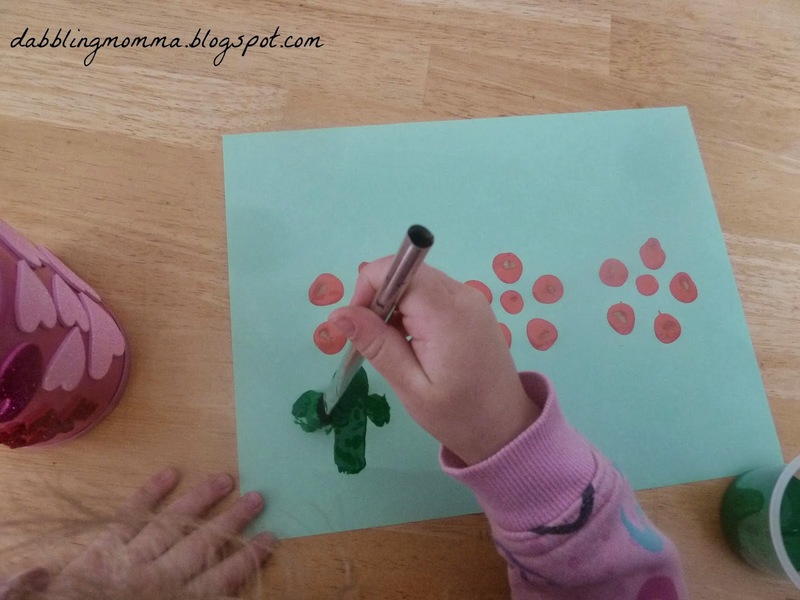 It has been fun doing winter crafts but so refreshing to finally do a flower craft! 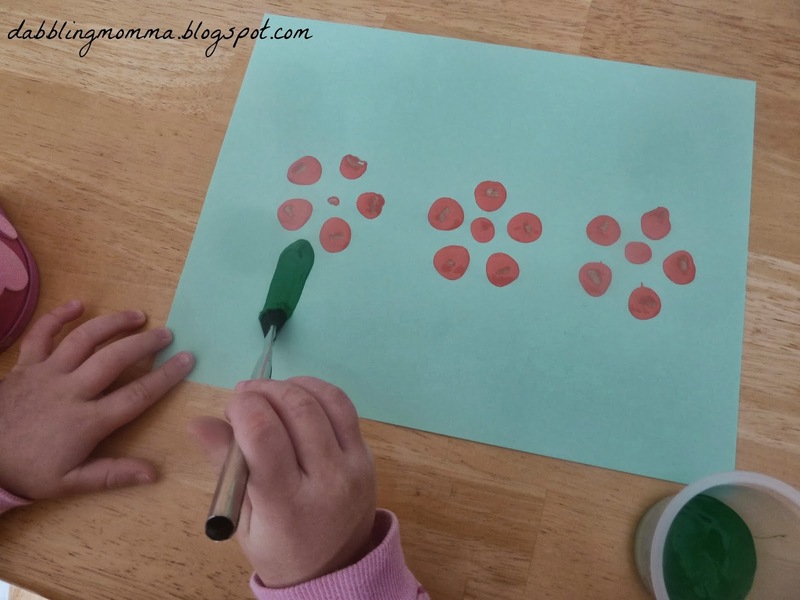 I would love to hear about your flower or spring craft! Feel free to share on our Facebook page! I LOVE this! Perfect for Spring. Thank you so much for sharing with the Monday #pinitparty. Have pinned...a few times LOL! Thank you!! Glad you like it and thanks again for the pins!! Will try this with my girl. Hope you enjoy making the flowers as much as we did! !